Philip Schiller, senior vice-president for Apple worldwide marketing, speaking at the launch of the new iPhone XS series. Its shares were down 1.2% on Nasdaq. Apple uses the 'S' suffix when it upgrades components but leaves the exterior design of a phone the same. Last year's iPhone X represented a major redesign. 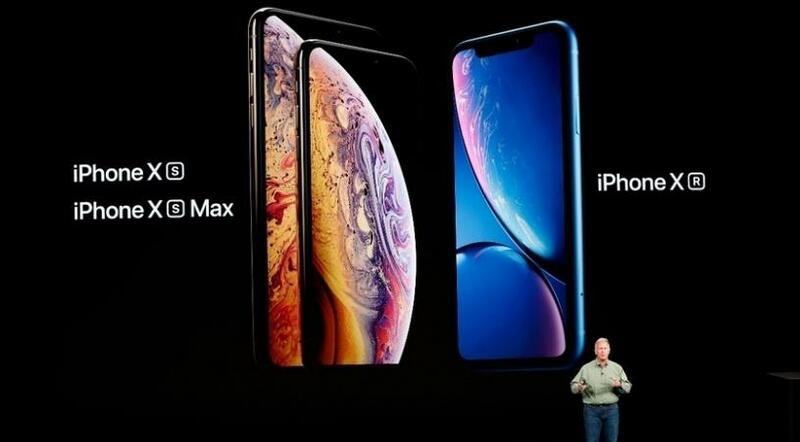 The new phones are the XS, with a 5.8-inch (14.7cm) screen, the larger XS Max, with a 6.5-inch (16.5cm) screen, and a 6.1-inch iPhone Xr made of aluminum, with an edge-to-edge liquid retina display. "It's a matter of getting people to keep moving up."